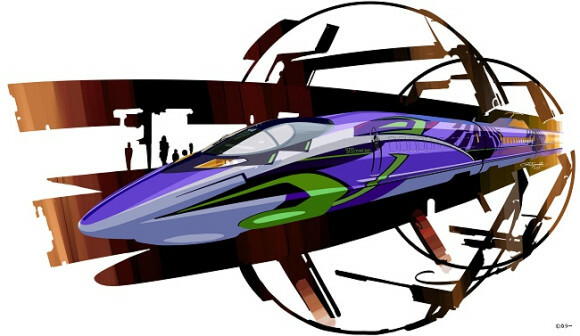 Director Hideaki Anno and mecha designer Ikuto Yamashita are working together to create and launch an Eva-themed Shinkansen(Bullet Train) which will be called the “500 Type Eva”. The project kicks off in the fall and is said to go on until March 2017. Aparently, the Evangelion theme does not only apply to the exterior of the train. The inside will also be decorated and designed to fit the theme as well. 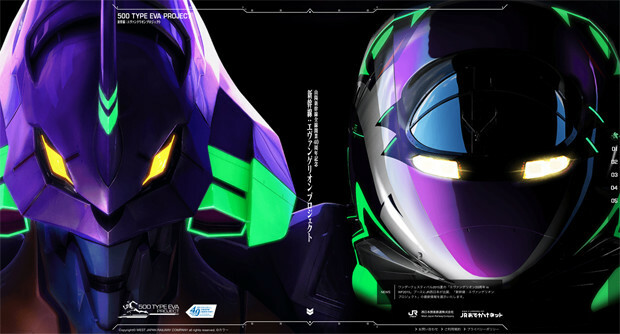 A garage kit of the train is also supposedly going to be available at Wonderfest in the Evangelion 20th Anniversary booth.